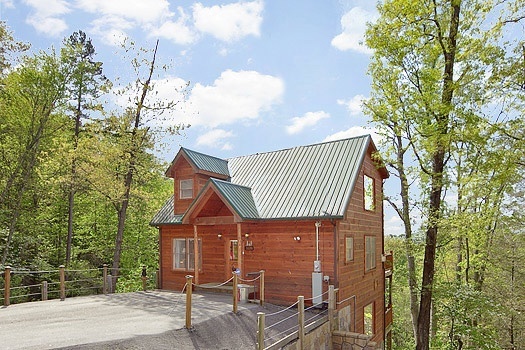 You will enjoy Bearly Makin'It in this custom built one bedroom with a 2nd lofted bedroom and two bath cabin. 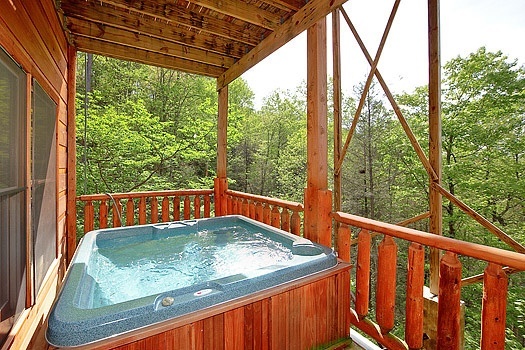 With lots of extras, this INCREDIBLE mountain hideaway is just what you are looking for in a Smoky Mountain cabin. 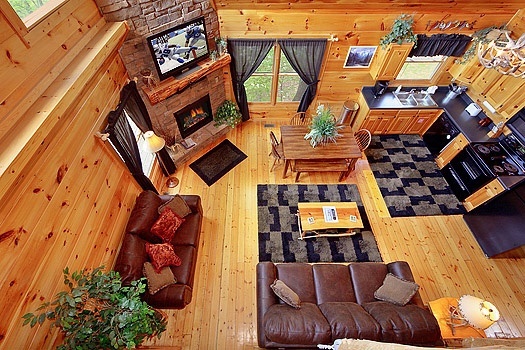 Offering a fully equipped kitchen, Jacuzzi tub in the master bedroom and a King size custom log bed, the second lofted bedroom allows you to enjoy the stars at night while lying in the custom Queen log bed, gas fireplace,2 living areas-BOTH with 42" PLASMA FLAT SCREEN TV's with DVD. 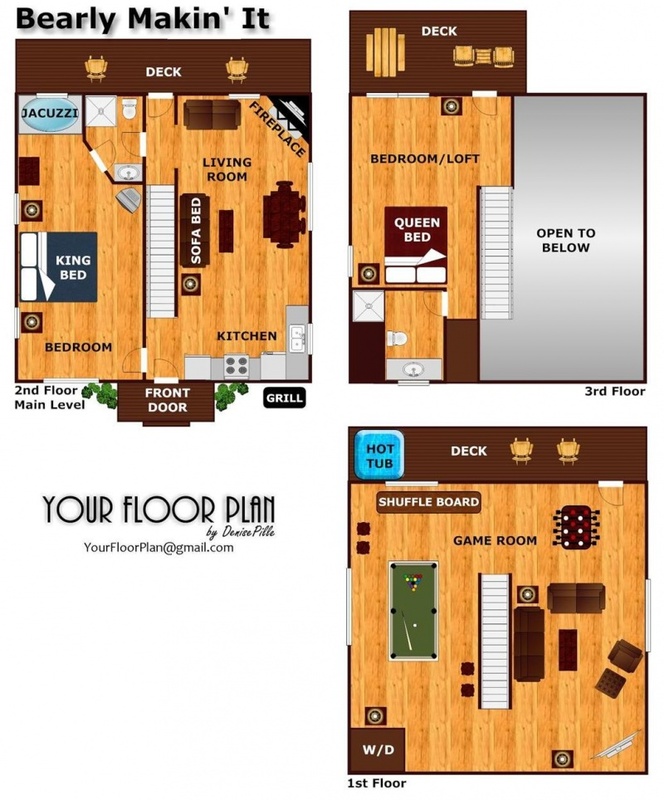 The second living area is downstairs next to the game room with wet bar! The viewing options abound with HDTV programming, all the movie channels, and even the XM RADIO Channels. 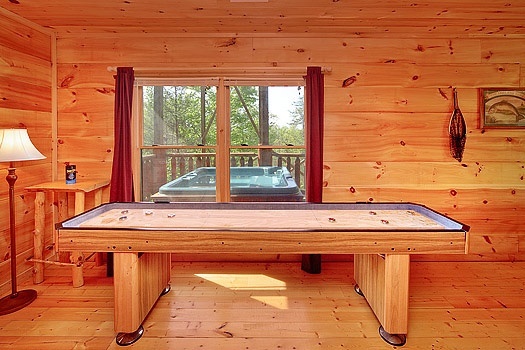 The Game Room features a pool table, foosball and a cool indoor shuffle board table! 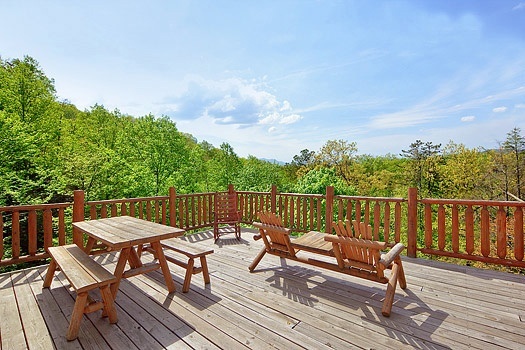 Outside enjoy three large deck areas with a picnic table, rockers, table, and chairs to enjoy the wonderful views of Bluff Mountain. End of the road privacy and GREAT VIEWS! Our maintenance man (Bill) was AWESOME!!!! He was great! The only thing that didn&#39;t work was our hot tub and we didn&#39;t even call and report it. Our stay was fabulous! We will return!!! Thanks for a wonderful place!!!! 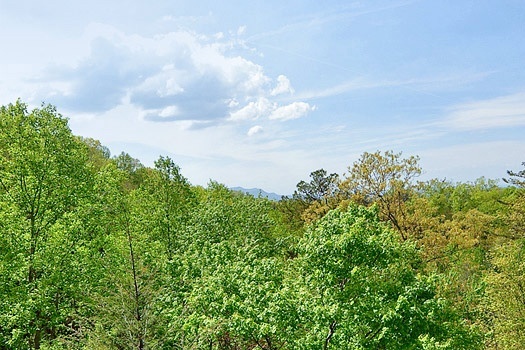 We had an awesome experience of the Great Smoky Mountains. We want to thank Bobby for helping us with our wonderful cabin selection at American Patriots Getaways. Will happily recommend you to all family and friends. Thank you very much for everything. Larry and Melanie Hill of Fredericktown, Missouri. 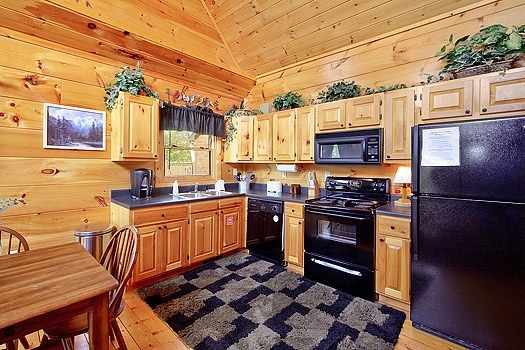 Great cabin, very clean, well stocked kitchen. Will definitely be back in the future. We had a great time thank you. A very nice cabin and location we loved it. We will be back to stay again in the future. Everything was just as I seen on the website... We really enjoyed our stay. 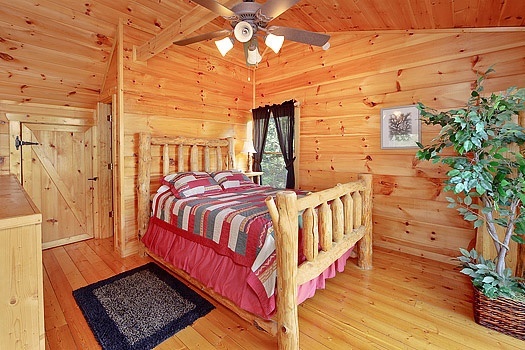 Very nice cabin. Thank you! 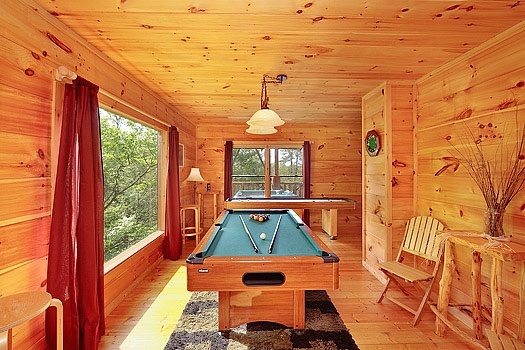 As always a great deal for a beautiful cabin. Thanks for letting us share your home. APG you never disappoint! Always a great time staying at the cabins. 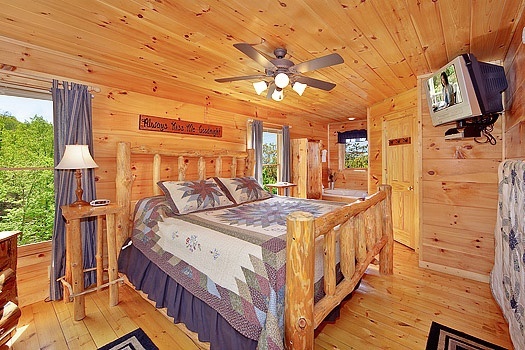 I only book cabins that have log bedroom furniture. All outside furniture was unusable due to age and moss growing on it. Floors very scuffed up. Foosball men Brock and shuffle board table edges broke. To be a premium cabin needs lot of updates. Reservation staff was great! We had to reschedule our visit due to a death in the family, and the reservation staff went out of their way to make the rescheduling possible. Cabin was great. Directions were perfect. Thank you. The cabin was beautiful. We really enjoyed our stay, and look forward to seeing you again in the near future! We enjoyed our stay at the cabin and would consider another stay in the future. The Barely Makin' It Cabin was fabulous. We enjoyed our stay very much so! Everything worked good. The no check-in and check-out process was great and saved a lot of time. The only maintenance issue we ran into which was not an issue for us but could be for someone. There are many nails that stick up on the top deck and could make for someone to have a bad night. We noticed them and were careful around them, but someone else may not. We would definitely consider staying here again. Thanks! 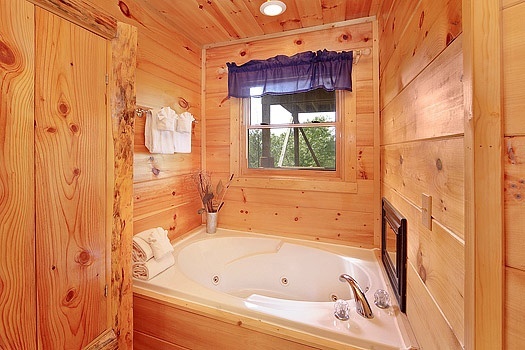 The cabin was great, but the showers were very small. We enjoyed our stay very much. 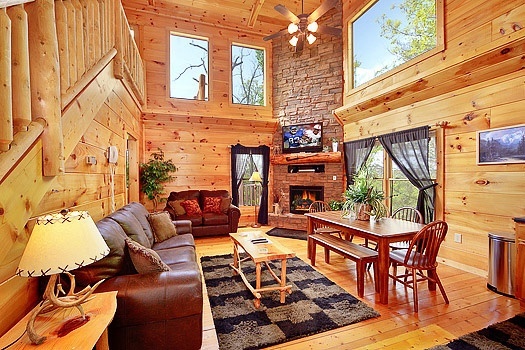 Booking and paying for the cabin was a breeze on your website. 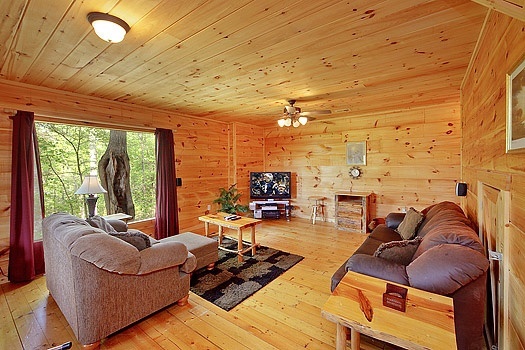 The cabin was very clean and nicely decorated. We loved the third floor deck and ate all our meals there. We will definitely stay at Bearly Makin' It again. 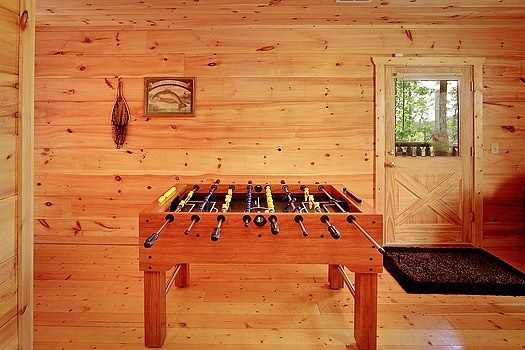 The cleaning crew for this cabin should be commended. This is the first clean cabin I have stayed in for quite awhile. I think this makes the 8th year we have stayed in one of your cabins for this weekend. It's something we look forward to every year and gets us through the madness of the holidays! Thank you!